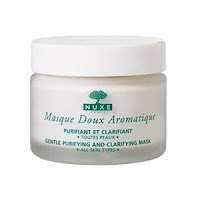 NUXE Paris began in 1957, when a Paris pharmacist with a fascination for phytotherapy and aromatherapy founded NUXE. In 1989, Aliza Jabès took over the brand and did her best to revive a pioneering cosmetological concept combining nature, health and beauty. 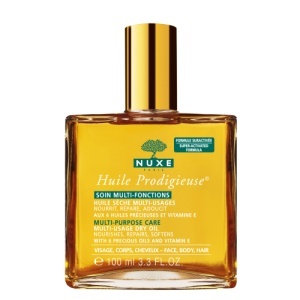 NUXE beauty products contain no mineral oils, no synthetic coloring agents, no animal ingredients, and they conduct regular testing registered by the French Ministry of Research. They sent me skincare samples and here is my review. 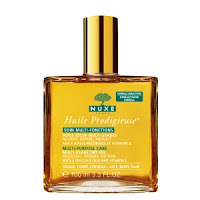 Huile Prodigieuse is multi-purpose dry oil with a unique superactivated formula combining 30% Precious Plant Oils and Vitamin E to nourish, repair and soften face, body and hair. Great for all skin types. Face and body are soft and velvety. Hair is supple, glossy and full of volume. I was really impressed with this multi-purpose natural wonder! It's similar to argan oil but I found it absorbs faster and might be a better alternative for those with oily/acne prone skin as it caused no adverse reactions and left absoultely no oil feeling on my skin. It smoothed and softened my skin, hair and body and left it feeling ultra smooth and silky! You can learn more here. This mask has a warming effect that opens up pores to deeply cleanse and unclog the skin, which is gently clarified and exfoliated. The warming effect of the Thermo-Active Powder opens up pores to deeply cleanse and unclog the skin. The Jojoba micro-spheres melt on the skin to gently exfoliate, while the ground walnut shell exfoliates more intensively. For normal, combination or oily skin and ideal for combination or oily skin. I highly recommend this mask. I noticed it effectively unclogged my pores, reduced pore size and left my skin looking smooth and soft with a youthful glow. You can learn more here. A concentrated formula with 18 active natural principles to clarify and purify. Kaolin and Birchwood Extract clarify your skin and Grapefruit Extract refreshes it. This is one of my favorite products from the line! This mask left my skin feeling devinely dewy, soft, fresh with a radiant glow. It's for all skin types and I highly recommend it. You can learn more here. 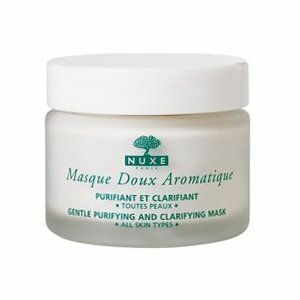 Nuxe Paris is french beauty at it's finest! You can find retailers near you by visiting their facebook page: here. 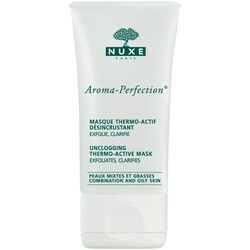 Please visit their website at www.nuxe-us.com or add them on Facebook or Twitter.